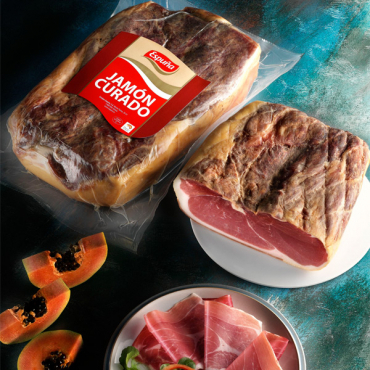 Serrano ham is the most characteristic product in our cuisine. At Espuña, we individually tend to each piece of Serrano ham during the entire crafting process. By choosing the best meats and curing them slowly, Espuña cured hams have an exquisite, unmistakeable flavour in all their varieties: Serrano, Duroc and Teruel. And they come in different options: legs, shoulders, deboned, blocks and cubes.